MAKESHOP » What Are Your Favorite Books That Inspire Making? What Are Your Favorite Books That Inspire Making? I love to read. Before I could read by myself, my mom read stories to me a lot. Some stories were my favorite because of the pictures, while others were my favorite because they let me imagine things I had never seen or heard before, and I liked using my imagination. Books can be good tools to give people good ideas. Since we’re always looking for good ideas in MAKESHOP, we started doing a Maker Story Time. My friend Henry and I get to read stories and try out new materials and experiments once we get some good ideas from the stories. 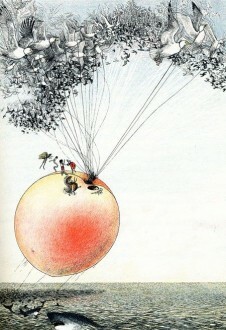 One of my favorite books from my childhood is James and the Giant Peach by Roald Dahl. 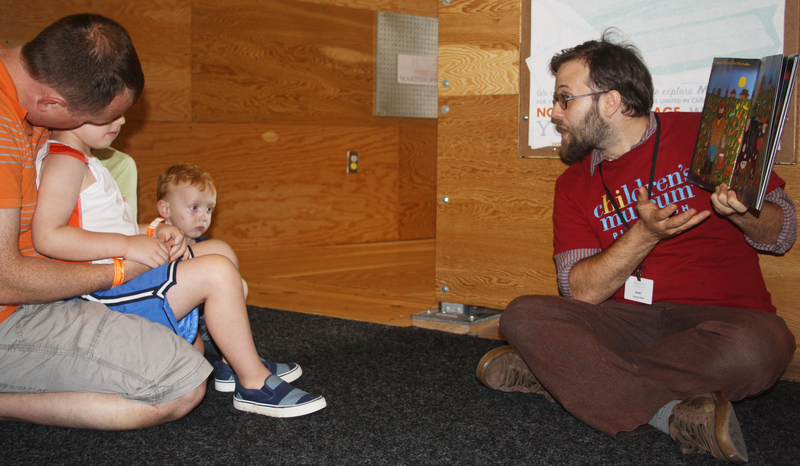 In the story, a boy named James has adventures in a magical, giant peach. He becomes friends with insects like a grasshopper and a spider, and meets Cloud-Men, who control the weather. The best thing about James and the Giant Peach was getting a chance to think about things in a new way, from bugs who could talk and be nice to humans to a peach pit that could be big enough for a person to live in it. James and the Giant Peach is a great story to inspire new creations that live in the sky. When MAKESHOP turned into Skyworld and had all kinds of creations hanging from the ceiling, I thought of James and the Giant Peach. Books that inspire making don’t necessarily have to be about making–they can just help you think about a new idea or get excited about how someone else used his or her imagination. Henry and I can’t wait to see what people think of making after every Maker Story Time! Here’s a pig that flew in Skyworld. Can pigs really fly, or did someone use his or her imagination to make this?